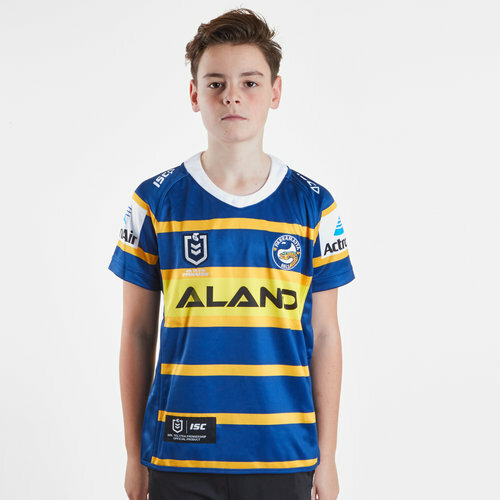 Fly the flag for the Eels when you wear these Parramatta Eels 2019 NRL Youth Home S/S Rugby Shirt from ISC. 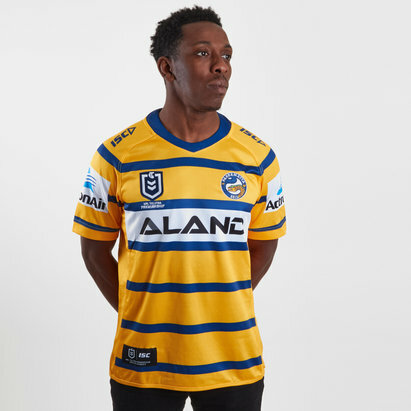 This home shirt uses the club's colours blue and hold therefore sticking with tradition. Made from 100% polyester, the shirt has a crew neck collar giving a comfortable feel. The shirt is predominantly blue with gold stripes across the shirt. The ISC logo is on each shoulder of the shirt with the club badge on the left and the NRL league badge on the right. 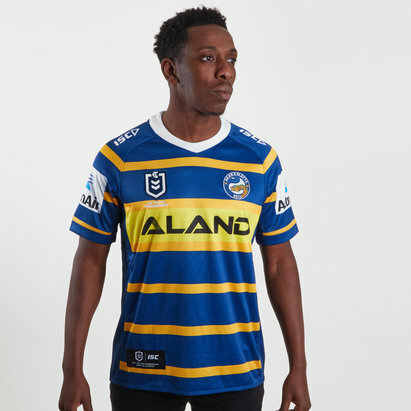 The team's main sponsor - ALAND - is printed across the middle.